Hookah is fun, which came from the East. Interest in this type of Smoking is constantly increasing. It is fashionable, interesting, nice. Tasted delicious hookah in the restaurant, nightclub or bar, people are buying their own device to enjoy them at home. But, unfortunately, to prepare a good hookah does not always work, even have to follow instructions. You need to know a few secrets. 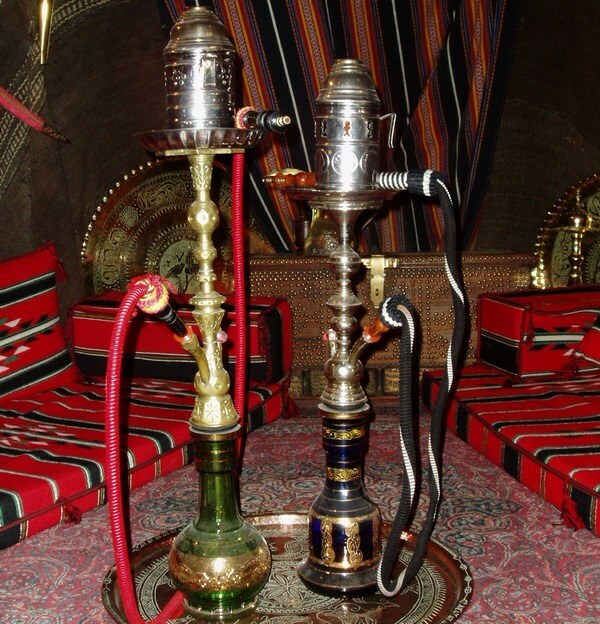 To prepare a good hookah, you first need to select fresh quality tobacco. It needs to be wet, like a jam. Dry tobacco will spoil all impression of the hookah. The most popular flavors are Apple, melon, strawberry, multifruit. It all depends on personal preference – the taste of tobacco, everyone should choose for himself. After trying a few options, don't be afraid to experiment and mix them. Buy good coal, better without nitrate, that is not samorastekayushchikhsya. Select the one that you need to ignite on the stove or lighter. Carefully read the instructions on how to assemble a hookah. First, you need to put tobacco into a Cup, carefully unfolding the leaves, and when agglomerated lumps. Need to between the leaves remained in the air, then the taste will be richer. You can use the special needle forceps from a hookah. Run it in a Cup and swirl to tobacco took the form of a funnel. Be careful not to compress it. A piece of foil fold in half, then crumple it and unfold. If the coal will lie on a smooth surface, heat transfer will be less. Cover the Cup this sheet, tightly wrap and wrap the edges. With a pin, needle or toothpick, pierce a few holes on the entire area of the foil. The more holes and the more regular they are, the tastier get a hookah. And that heat is transmitted even better, use this technique: make a foil ring height to two inches, put it in the middle of the Cup, covered by a sheet with holes. Top wrap the ring with another layer of foil and make holes again. Thus, coal provides a uniform flow of heat to tobacco, so it does not need to be moved around to not burn. Coal it is desirable to put not in the center and the edges. Set to a good hookah usually has a special metal head, cover one of them the coal or use foil. To flavor hookah became even sweeter and richer, you can use an Apple instead of a Cup. Cut the fruit in half crosswise, bottom half and clean out the insides, leaving only the walls. Do the bottom of the hole, then insert the two toothpick cross, to tobacco had failed. In the second half of the Apple, too, will clean out the middle and make a few holes to allow air to the coal. Fill the bottom half of the Apple tobacco. Take the foil, put on the Apple and secure with a toothpick, make holes. Put a hot coal and cover the second half of an Apple. Rinse the flask, pour water or other liquid. Instead of water used milk, wine, juice, other drinks, such as 7Up. You can spiral cut the peel of the orange or lemon and add to the liquid. Make sure the tube was immersed in three inches of water, not more, so the hookah would be better to stretch.